Each years, Berlin is the host of the Internationale Funkausstellung which most people call IFA. The funny thing about it is that no one really knows or cares what the A stands for. It started in the 20s and showcased inventors like Albert Einstein and multinational corporations like Philips which introduced the audio cassette in the 1962 edition. This year's event will be held from August 31st to September 5th but really started yesterday for a reason I am not aware of. The two main presentations were made by Sony and Samsung it was more than awesome ! They both exhibited their new line of products and this is precisely why I am so excited. The day started with Sony showing off their new line of Xperia smartphones, the Xperia X or Hayabusa, the Xperia V and the Xperia J. The Hayabusa will be their new flagship device and will be James Bond's phone in his new movie. It will sport a 4.6 Bravia HD display, a 1.5 GHz dual-core processor, a 13 megapixel full hd camera in the back and a 720p camera in the front. 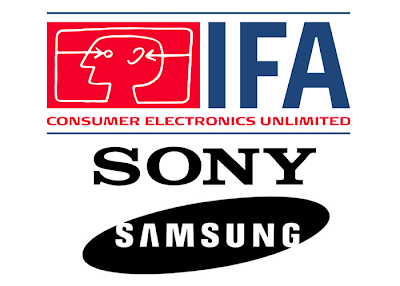 It is also a PlayStation certified phone and it will come with Ice Cream Sandwich but will be updated to the latest version of Android, JellyBean, shortly after launch. The Hayabusa will have NFC connectivity and will be able to be hooked up to an HD TV by an MHL port. The Xperia V will have mostly the same specs, except its display will be 4.3 inches and it will have an LTE radio for faster download speeds. They also said it will be the most water and dust resistant smartphone. The Xperia J is more like a low end device so I am not so interested in it. The other product Sony unveiled is the new Xperia Tablet S, a 9.4" HD display tablet with a Nvidia Tegra 3 quad-core processor. From what I understood, the Xperia Tablet S has nothing to stand out of the constant widening range of Android tablets. The fun really began when it was Samsung's turn to take the speech. I knew they were going to present the Galaxy Note 2 which is what they call a 'phablet', a mix between a smartphone and a tablet. It comes with the new S-Pen, a kind of smart stylus that you can use to draw, write and interact with the device. It is very cool but it is only an improvement of what the previous version of the Galaxy Note already had. 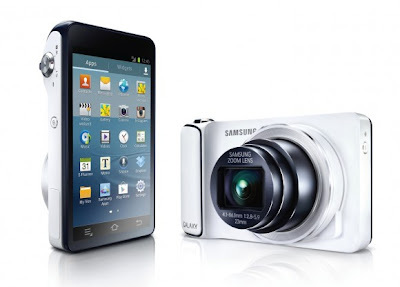 The real innovation was the new Galaxy Camera, an Android powered 16.3 megapixel digital camera. It will come with a 3g or 4g data connection, a 4.8" HD Super Clear display, a 21x optical zoom, a GPS, WiFi and Bluetooth 4.0. There is also an HDMI out port so you can plug it to your tv to look at your pictures or videos. I am really eager to try it for myself and have it in my hands to see how great it is to take pictures with this bad boy. The third part of Samsung's presentation was focused on a totally different topic, their new ATIV lineup. It is actually the equivalent of their Galaxy product line but instead of running Android, these devices run Windows 8. The first baby of this new family is the ATIV S, a 4.8 inches smartphone powered by a 1.5 GHz processor and 1 GB of RAM packed inside a gorgeous brushed aluminium chassis. It comes with a more than welcomed Micro SD card support, a 2300 mAh battery, a 8 MP camera, a 1.9 MP front facing camera and either 16 or 32 GB of storage space. So basically, it is like a great Android phone that runs Windows 8. The next product Samsung announced is the ATIV Tab, a tablet that will run on a 1.5 GHz dual-core processor and an impressive 2 GB of RAM. It also comes with the standard features you would want or a tablet : GPS, WiFi, Bluletooth, NFC, HDMI output and microSD support. Samsung really brought Windows 8 up to par with Android with these two devices. They also showed off two versions of what they call SmartPCs but to me they are more like a rip off of the Asus Transformers. I say that because Asus were the first to produce an hybrid device that crosses a tablet with a laptop. The Pro version comes with an i5 intel processor, 4 GB of RAM and a full HD display. The good thing about it is that it will be able to run the classic Windows programs you already 'love' like Microsoft Office. Samsung also unveiled a new laptop but that is boring compared to what I already talked about. 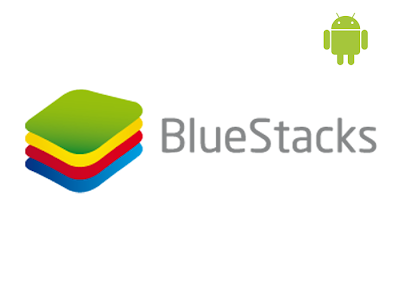 BlueStacks offers another product but this one is for your Android phone or tablet. 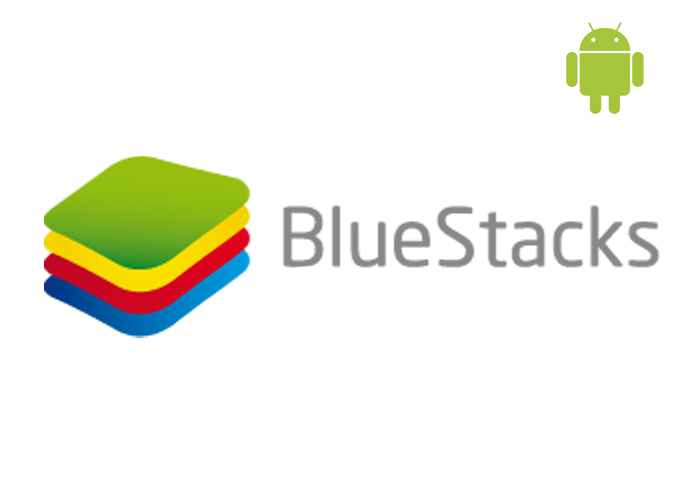 BlueStacks connect will let you "push" applications from your Android device to your computer running BlueStacks. Basically, it lets you download apps from your device on your computer. This product is also in beta, so we might see them add more features in the near future. Recently, the concept of crowd funding is booming on the Web. It is a new way to get funding for those who do not have the necessary capital to exploit the full potential of their ideas. The way it works is actually pretty simple : you submit your idea to an online community and anyone that is willing gives you money so you can realise your project. Kickstarter is exactly that. They started in 2009, and since then, they funded business, movies, music production, journals, video games, food related products and many more great endeavours. Time magazine named them the best invention of 2010 and the best website of 2011. 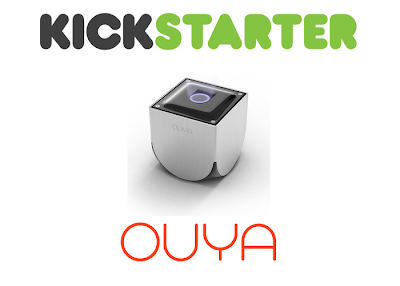 The project that had the most funding recently is called Ouya. Their goal was to collect 950, 000$ and it was reached in only 8 hours. They achieved to raise almost 8.6 million dollars in total which represents more than 900% of their initial goal. So what the hell is Ouya ? It is a new video game console based on Android 4.0 Ice Cream Sandwich. It is supposed to be available in April of 2013 for the small price of 99$. Ouya will pack a quad-core ARM processor, which is the same type of processor that is powering your smartphone, 1 GB of RAM, 8 GB of internal storage space, an HDMI connection to hook up to your TV, WiFi, Bluetooth and an Ethernet port which is the port used for Internet connection. The great thing about it is that it is only as big as a Rubik's cube so you won't have to buy new furniture just to put it in your living room. The Ouya team will also provide a custom application store for games and apps that are specially made to run on the console. All the games will have to have a free-to-play form so some games will be completely free, some will be upgradable through purchase or free trials. Ouya is a new kind of gaming console and that means it will not compete with the PlayStation 4 or the Xbox 720. It will be a low cost entertainment device, something that we will be able to find in every family's living room. The games will be developed by geeks like me that work in their mom's basement so the consumers won't have to wait years to get updates and new versions. Like I said in my first post, I had a computer since I was 5 so I have used most popular operating systems. At that time, I was running Windows 3.1 and as I grew older, I went though Windows 95, 98, 2000, XP, Vista and the current one, Windows 7. The marketing geniuses at Microsoft decided to name the next version Windows 8 and they also changed the Windows logo which was used since XP. 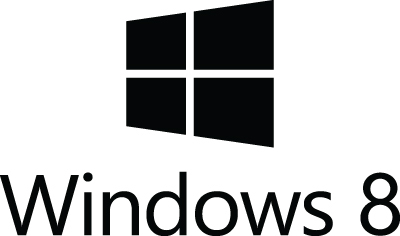 The new logo looks way more like an actual window and kind of gives away the real big change in Windows 8: the UI. They originally called the Metro UI but they had to find a new name for it because it was already taken by a German company. The rumours say it will be called Modern UI but that is not clear yet. The other big thing about it is that it will look the same whether you use it on a tablet, a laptop or a desktop PC. 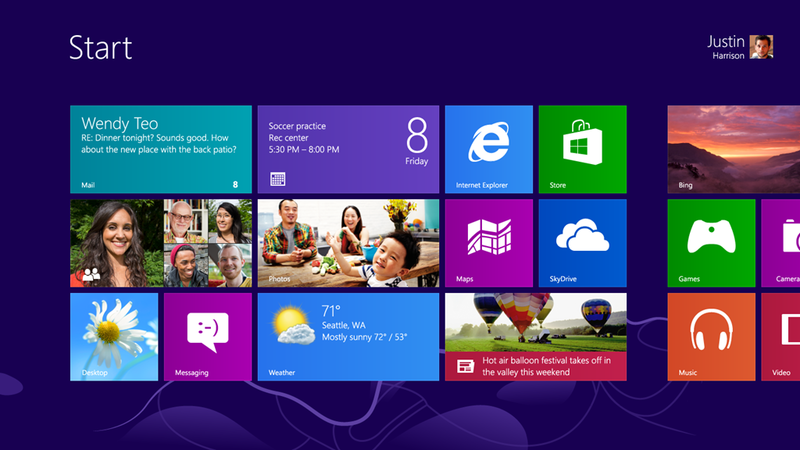 Lets take a look at some of the new features Windows 8 has to offer. We saw the Modern UI for the first time when Microsoft released their mobile platform Windows Phone 7. The philosophy behind the Modern UI is "content before chrome" which means giving priority to the content instead of giving it to graphics. I think it is simply brilliant and it should be the way to go for everyone. What it actually looks like is a list of tiles each with specific content that is tied to an application. You can still go back to what Windows used to look like but the sad part is that from what I heard, you won't be able to boot your computer directly in classic mode. It seems that Microsoft decided to rebrand the games we are all used to play : Solitaire, MinesSweeper and Mahjong. They are all going to be under the new banner named Xbox Windows. You will also be able to unlock Xbox Live Achievements and it will integrate all of the gamification you could expect. It will also be included on Windows Phone so maybe you will be able to play the same game on your Phone, PC and Tablet. This feature is a really cool one but at the same time, Microsoft had to have it. Other OS's like Ubuntu based on Linux had the ability to be used on a USB key. That means that you can walk around with your computer in your pockets. Well, not a full computer, just the data it contains. While not many people will use this feature, it is a good thing Microsoft added it in. To me, this is the best feature of Windows 8 hands down ! Windows Live Syncing will allow you to use your computer on another computer. That means that you can log in to your friend's PC with your own username and password to access your files and programs. It will also have your basic settings. 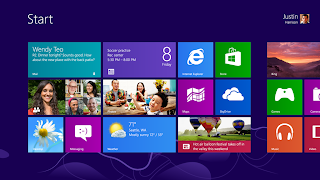 Since the newest version of Windows will run on any type of device, it will support touch screen interactions. You will be able to use Windows the same way on a PC and on a tablet. Even the phone version will look almost the same. I think this is the best way to go about it because people don't want to adapt the way they are using Windows depending on what device they are using. I remember when I was younger I had to figure out by myself which program would do the things I wanted to do with my computer. As smartphones started to come out, the manufacturers decided to adopt a new way of providing applications to the users that we now call "Stores". Apple has the AppStore, Google has Google Play and now Windows will have Windows Store. The Windows store will provide users with a similar experience but on a PC. Since the beginning of times, booting a computer has always been a long process. I remember my brother once told me the first thing he did in the morning was starting his computer, take a shower, get a coffee and wait 10 more minutes before he could start to use his PC. Google tried tackling this problem with their ChomeBooks but this matter is for another post. From what I have heard, the booting time on Windows 8 will be significantly less than what it previously was. I am eager to see how fast it will be. I always hated Internet Explorer and I still do. It is probably the worse browser out there. The next version is supposed to have a big overhaul but I won't take Microsoft's word until I try it out myself. It is supposed to have better HTML5 and CSS3 integration but I realise this is useless information to most people. The bottom line is it is supposed to work better and display web pages in a better way. We are expecting it to launch at the end of October, probably around the same time Microsoft Surface tablets come out. The latest rumours suggest they will only cost 199 $ but I am not sure this is completely accurate. Windows 8 will definitely change the way we use computers but I am sceptic about how it will be adopted by the general public since Windows 7 is still very good. I guess the only thing we can do is wait for it to come out. Yeah, Im in love with Google and their crazy beautiful ideas. I hope this post (and all of the others), will make you appreciate them as much as I do. These two projects are just a small part of all the experiences Google is conducting. This project is the most generous project Google could have. Google is becoming an Internet provider and they don't even want you to pay to use their services. Actually, once again, they give you a choice. Either you pay a one time fee of 300$ for the installation and never pay again for Internet access or you get one of their monthly paid plans. The free plan will give you up to 5 MB/s download speed and 1 MB/s upload speed and unlimited bandwidth. That means you basically get the same as every other provider's cheapest plan but with unlimited data transfer and for free. The paid plans are just incredible ! For the 70$/month one, you get 1 GB/s download and upload speeds which is totally unheard of, no data caps, of course, and 1 TB of Google Drive storage. This is 1000 GB of free online storage, another unheard of offer. The 120$/month plan also includes all of those things plus a Nexus 7 tablet that you can use as a remote and full access to their TV lineup. Wait ... TV lineup ? Google is going to give you access to TV content in HD for free over the Internet. You will even be able to record shows, save your own photos and videos on the storage box that will come with the package. The sad thing about it is that it is only for Kansas Cities for now. Cities because it is available in Kansas City in Missouri and Kansas City in Kansas. Weird hun ! Most car accidents are caused by humans so Google decided to take us out of the equation by developing a car that does not require a driver to be operated. How is that possible ? It works by combining the power of Google Map and a GPS tracking device, cameras installed inside and outside of the car, a LIDAR sensor on top and radar sensor in the front. The LIDAR is light detection and range sensor which is able to detect distances between objects and that works by emitting pulses from a laser. An artificial intelligence software compiles all the data received from the input devices and then drives the car for you so you can just enjoy the ride. They already tried their technology in a Toyota Prius and in this video, you can even see a blind man using it. That makes me think that maybe one day, children, elders and even drunks will be using it. Imagine going for a night out with your friends and let your car drive itself home. How awesome would that be ? I wonder how many live this will save. And of course the price of their services. I realise most people have no idea what 3g, 4g or LTE means. To be honest, nobody is interested in knowing this kind of stuff but nerds like me. So I will just lay it out for you. Before we had the smart-phones we know today we were using 2g networks, either GSM or EDGE with transfer speeds around 200 kbit/s. Then came the 3G networks with much faster transfer speeds, something like 28 Mbit/s. The third generation networks are known as CDMA and HPSA. The fourth generation, called 4G, includes the WiMAX and the LTE Advanced networks. They can provide theorical data rates of 1 Gbit/s. That means it will be fast as hell ! 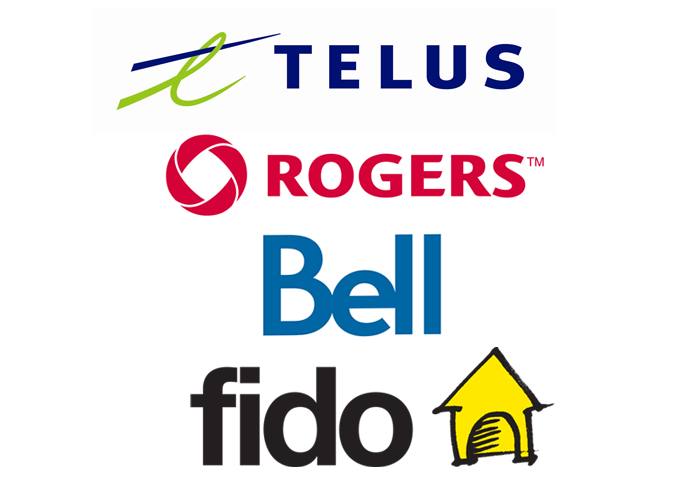 The 3 carriers have virtually the same service coverage so I won't be talking about it extensively. If you take a look at each carrier's map of their coverage, you will quickly realise looks almost looks exactly the same. Since I have been with Fido since day one, I won't compare the customer's service either. I can still tell you that Fido's is not that bad. 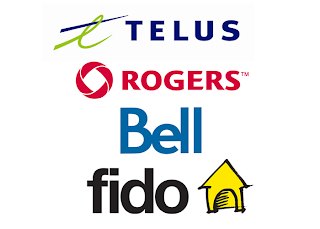 The last item on the to-ignore list is the price of services since the carriers always offer deals and you have to shop around and bargain to get a good price. Don't be scared to call you own carrier and blackmail them into giving you a better price with threats of taking your business elsewhere. Getting a better price on your cell phone bill is just one annoying and time consuming customer's service phone call away. 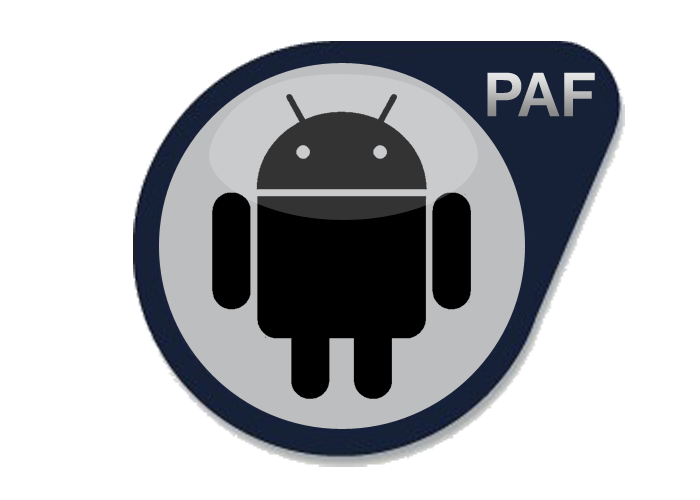 For me, Phandroid is the best Android news website on the Interwebz. Their rumours are the almost always accurate, their reviews are objective and the writers are very good. Also, they always provide great coverage of the big technology events. It's definitely my personal favorite. Android Community is another great website when it comes to Android news and rumours. They also have an Android device registry you can access here. It is a very complete website and I recommend you visit it once in a while. Mobile Nations is a network regrouping 5 communities : Android Central, Crack Berry, iMore, Windows Phone Central and WebOS Nation. 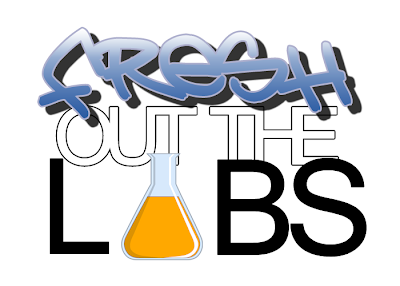 They have podcasts, shows, reviews, event coverage and even a store. If you are looking for one big website with all the mobile info you are looking for, Mobile Nations is the one for you. For Mobile Syrup, have a great name is not enough. They are the best source for news and rumours about what is going on in the mobile world in Canada. They also provide great reviews on the devices that are specific to our region. That makes them unique because no other website will spend time on our custom Canadian products. Unlike the other websites discussed in this post, SlashGear is not only about mobile stuff. They are all about gadgets and techy stuff which sometimes is a little too much for average readers. They cover everything from video games to copyright infringement lawsuits. Gizmodo is more like a newspaper than all of the others. Their website interface really makes you think you are reading a journal which is awesome. The writers are always funny but if your not a geek, maybe you won't get their jokes. It is more like SlashGear in the sense that it is not only for mobile stuff but they cover a way wider range of subjects. Astronomy, Anthropology, Graphic Design, and many more. Be sure to pay them a visit ! Last but definitely not the least, Engadget is like the mother of all tech news websites. They are the best at providing live event coverage, their reviews are very good and they have more than talented writers. The great thing about Engadget is that it is for everyone so you don't have to be a nerd to read what they have to say. 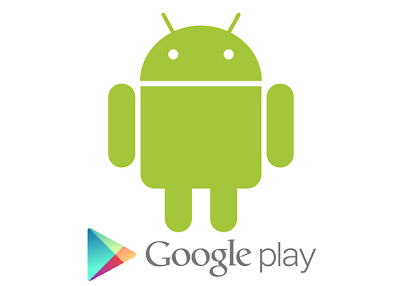 The real beauty with Android, is that most apps are free, even the super powerful ones. When you buy a new device or switch to Android, users can find it hard to know what are the possibilities available and what are the great apps that are out there. So I put together this list of applications you should have on your device because they are what makes Android such a solid platform. To perform file management tasks like, copy/pasting files or simply freeing storage space by deleting a music album I stopped listening to, I use Astro File Manager. It does everything a file manager should do and it is very easy to use. The only thing it does not do perfectly is opening zipped files. This is why I also use AndroZip which is like WinZip for Android. It works very fast and is really helpful when you download files that need to be unpacked. Most of the time, I use my Android tablet at home. I use it mostly as a remote control for the computer that is hooked up to my TV. The app Gmote lets me control my computer's mouse and keyboard from the comfort of my couch. It can also be used as a music remote control. Another app that is very cool at home is TinyShark. This app will allow you to listen to music from GrooveShark directly on your phone. This is awesome when you want to be the DJ in your friends party. Another thing I do at home with my Android device is reading. I don't subscribe to magazines any more because now, I get them straight on my tablet through the Zinio app. You can even get free stuff and 99 ¢ single issues. The thing when you buy a 600$ device is that you can always lose it. If you are like me, chances are this might happen one day or another. You might think that once it is lost, you will never be able to find it back and you are right. Unless you install Where's my Droid ? your chances are slim to none but with this app, you are almost sure to get it back. Where's my Droid will let you track your phone by sending custom text messages to your number or by using their online commander interface. If I had an award to give for the best Android app ever, I think I would give it to them. Most people like to use their smart-phone to read the news while they ride the bus to work or just as an everyday morning routine. Personally, I use Google Currents from times to times but I don't think it is the best one out there. I have heard a lot of commotion around another great app called Pulse which is one of the most gorgeous app on Android, but it is not my favorite news app. I like the default one that comes with Android but that's just me.